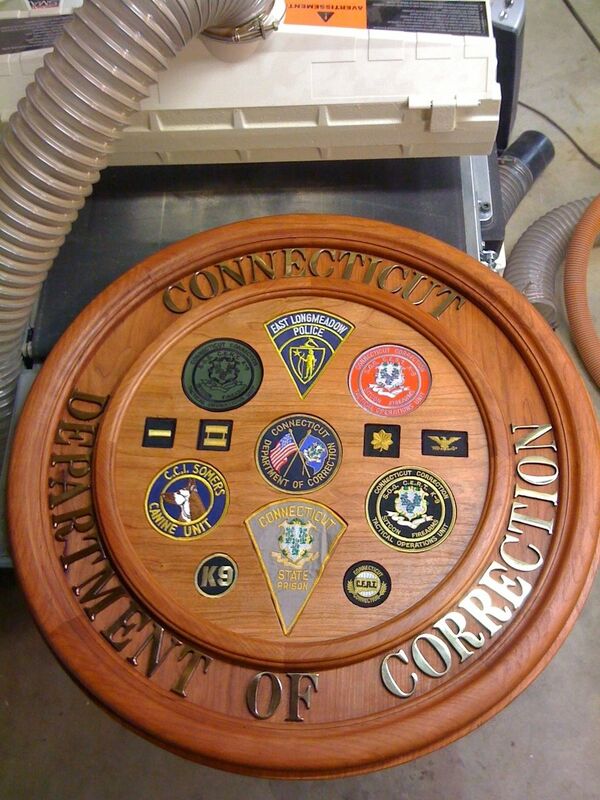 This plaque was made at the request of a retiree of the CT Dept. of Correction. 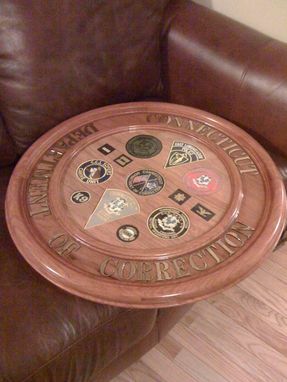 The plaque itself is made entirely of cherry and is finished with water based, non toxic materials. 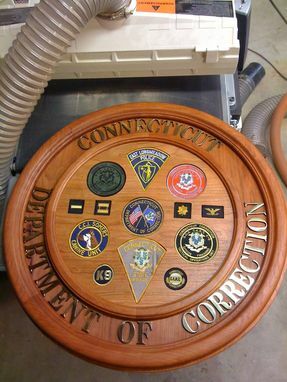 The plaque's design is reminiscent of the Departmental patch with the Departmental lettering recessed into the perimeter in solid brass letters. the lettering is then encased in a bed of clear epoxy. 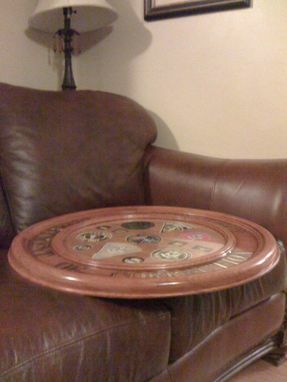 The frame is very large with the outer circle at almost 3 feet in diameter. 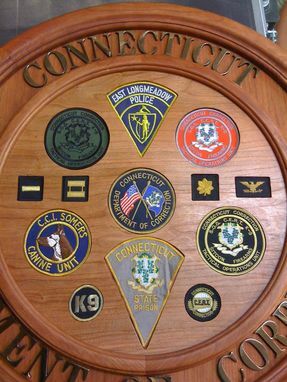 The inner circle features the patches that this individual requested to be displayed. Each patch is recessed into the backing to create a smooth surface for the facing glass.